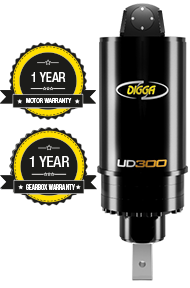 The Digga Ultra Drive range is the ultimate in ultra high torque performance up to 230,000ft-lbs. 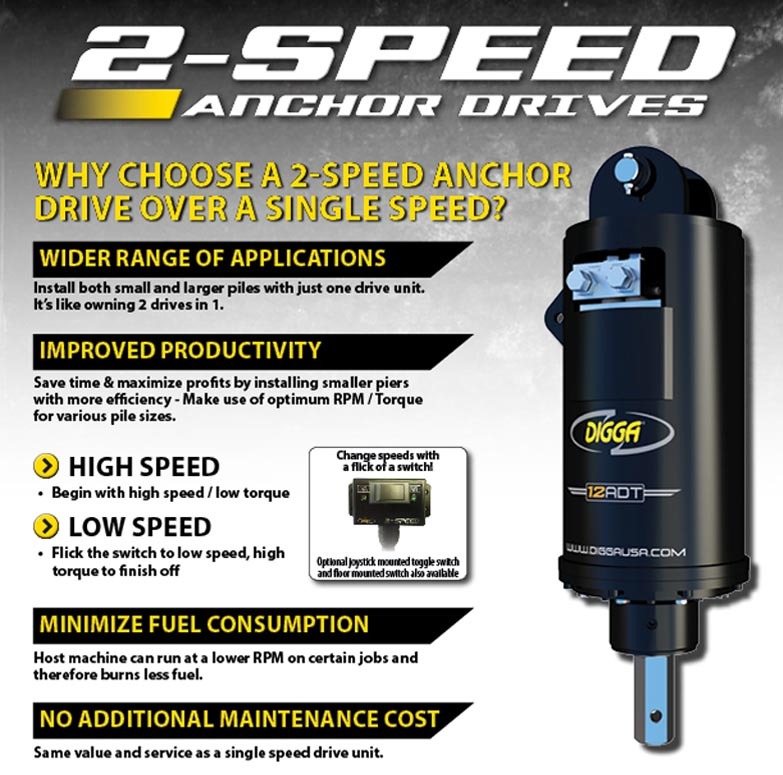 Providing the most versatile selection of supreme planetary drives with greater power and speed. Designed for screw piling and ground anchor installation. Overall Length 75.5" 75.5" 75.5" 75.5"
Diameter 26.5" 26.5" 26.5" 26.5"